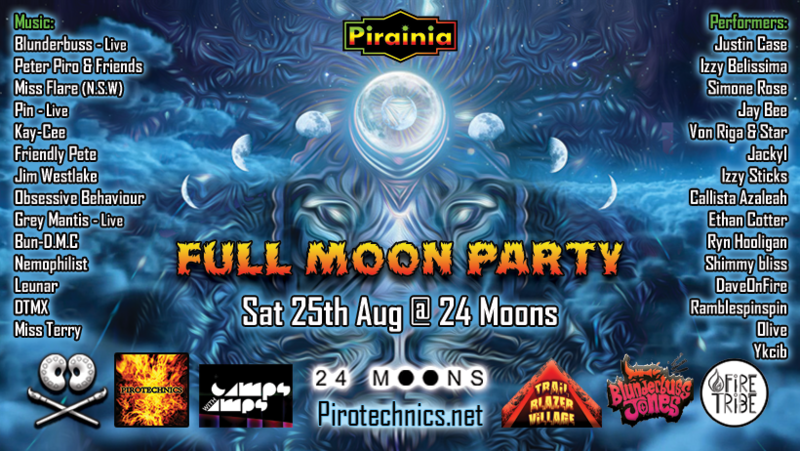 Full Moon Party and Pirainia fundraiser for Burning Seed! Sat 25th August @ 24 Moons Bar. Calling all creatures of the night. it’s time to get together and unite. Dance like a wild fire or with grace and finesse. Allow your energy to grow and progress. Unleash your inner lunar Lion or Lioness. Dress Theme: Creatures of the night / Burning Man / Full Moon. Featuring DJs, Live music, Fire performers and more! 1st round Early Bird – SOLD OUT! 2nd round Early Bird – SOLD OUT! We will be filming at this event. If you do not wish to be in any footage please let the camera man know. This is an 18+ event. Management reserves all rights.